Location: Floressas, in the Lot departement of France (Midi-Pyrenees Region). 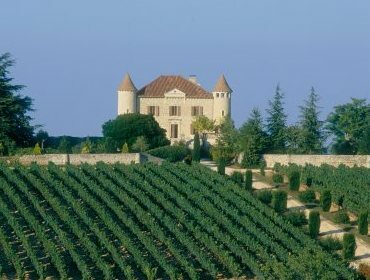 Notes: Château de Chambert, or Château Chambert, is a castle located in the town of Floressas (in the Lot), on the Causse du Quercy. The oldest texts found at Cahors in the Lot department archives tell of vineyards on the estate of Chambert in 1100. The twenty-first century is the launch of the major wine work. With the valuable assistance of the consultant Stéphane Derenoncourt, Philippe Lejeune began the overhaul of the vineyard: uprooting of all parcels Tannat vine to be replaced by Malbec (mass selection); renewal malbec plots (mass selection); chardonnay planted on excellent plots oriented north Kimmeridgien; redesigning the vinification unit; work in the vineyard strengthened following the methods of biodynamic; 2009: organic ECOCERT certification is launched (3 year program before confirming the certification).